For more than 20 years club members have monitored and recorded nesting data from several places in the bay. 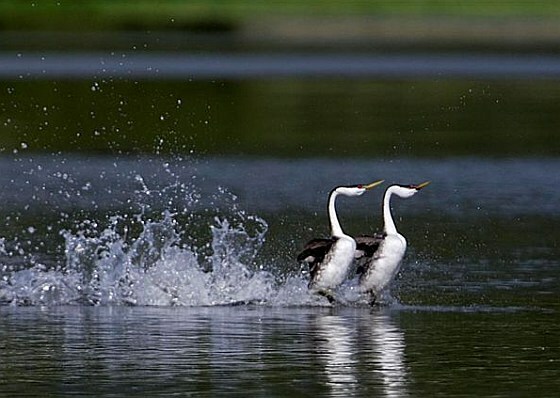 The recording of events and grebe populations continues from April to August with counts conducted every second week from mid-May to mid-July when the nesting results are observed and tallied as well.There are now usually fewer than 100 pairs nesting in BC, most of which nest in the bay. The shrinkage of wetlands throughout the province demands that the club remains very vigilant in protecting this habitat. More information on the Western Grebe. The Salmon Arm Bay Nature Enhancement Society and The Shuswap Naturalist Club have created a brochure promoting appreciation and protection of wildlife in Salmon Arm Bay. In 2006 the club established a financial award for a university student studying in the area of environmental sciences and planning to pursue a career in environmental conservation and protection. The Shuswap Naturalist Club Award is now available to students at Thompson Rivers University entering the third year of the Bachelor of Natural Resource Science program. Priority is given to students from the Shuswap area. See information on the latest award recipient. The club, in cooperation with CSISS, organizes an annual weed pull along the foreshore trail to help contain, and hopefully eradicate, this vine which does serious damage to the marsh vegetation. This closed reserve was established in 1972 to protect unique calcareous fens. Calcareous fens are rare and distinctive wetlands characterized by a substrate of non-acidic peat and dependent on a constant supply of cold, oxygen-poor groundwater, rich in calcium and magnesium bicarbonates. This fen was set aside as a closed ecological reserve because of the rare Liparis loeselii, or Yellow, wide-lipped orchid, which is found here. A reserve may be closed to the public if it is preserving a unique, rare or outstanding botanical, zoological or geological feature that could be damaged and destroyed by casual use. Jeremy Ayotte, the Reserve Warden at Mara Meadows, monitors water depth and quality and takes inventory of the plant species, with special attention directed at the orchids. He also records nesting bird species, beaver activity and amphibian and reptile populations. Here is a list of birds which club member Geoff Styles has identified at Mara Meadows in recent years. Almost 100 next boxes have been mounted on posts at the Nature Reserve and Peter Jannink Park. They are monitored and maintained by club members. The Great Canadian Birdathon is the oldest sponsored bird count in North America, raising money for bird research and conservation both across Canada and here in Salmon Arm. Club members join the 7,000 people from across the country to participate in this one-day birdathon i every year in May. Part of the money donated goes towards the Shuswap Naturalist Club’s projects such as our Young Naturalist Program, our nest boxes program and Jannink Nature Park. Our team is called The Twits. 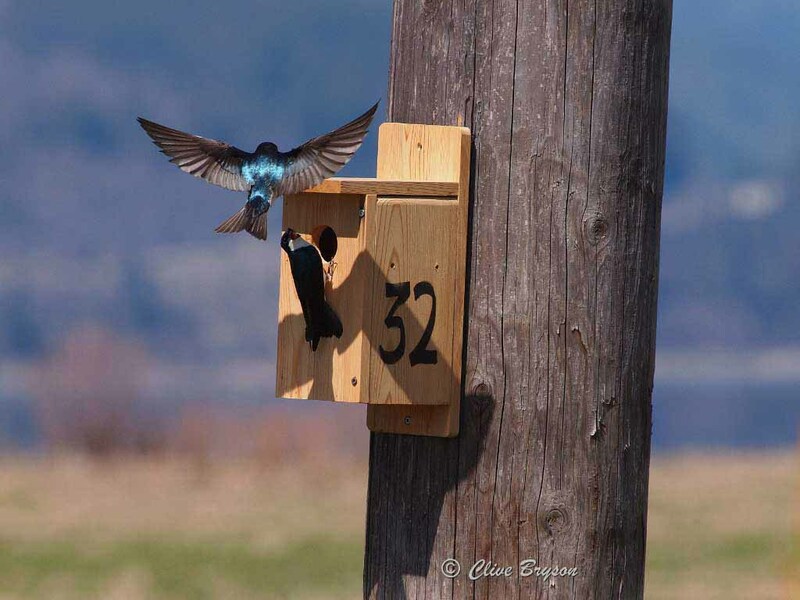 Covering a 10 km radius around Salmon Arm, the individual groups within the team will count from 50 to 100 bird species. The Twits’ total species count record for any one year is130, achieved in 2014.